Happy Halloween all! :) I love this image from a disc I purchased a few years back. I hope that everybody has a fun and safe day. 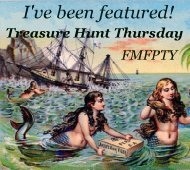 Though today is a day of fun please remember those who are in need. Take a few minutes of your time to find out how you can help those who have lost so much in Sandy's wake. I donated to The American Red Cross but I am sure there are other relief organizations accepting donations no matter how big or small. Lets band together and help make a difference. They have lost so much. Wow! I can not believe we are already to THT #80! Thank you for making it such a success. I have visited everybody from last week but am in the process of going back and leaving comments.I think I have been back by to almost everybody. All wonderful link ups! :) Here are a few of my personal favorites. 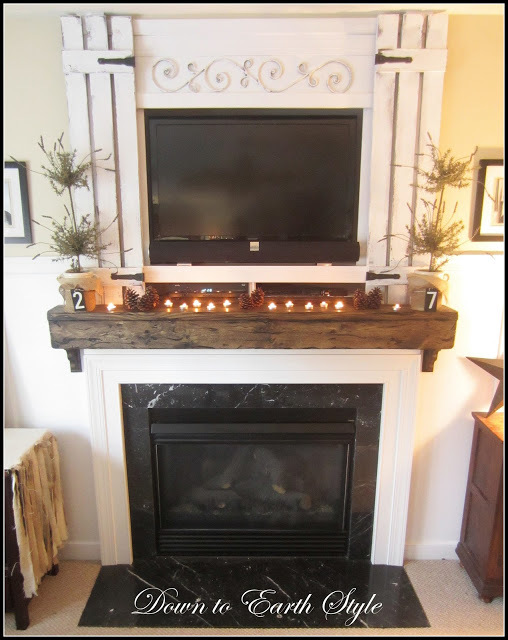 Holly over at Down To Earth Style always amazes me with her projects and this mantle make over is no exception. Meeha Meeha shared with us a tutorial on how to create these clever Halloween pear place cards. 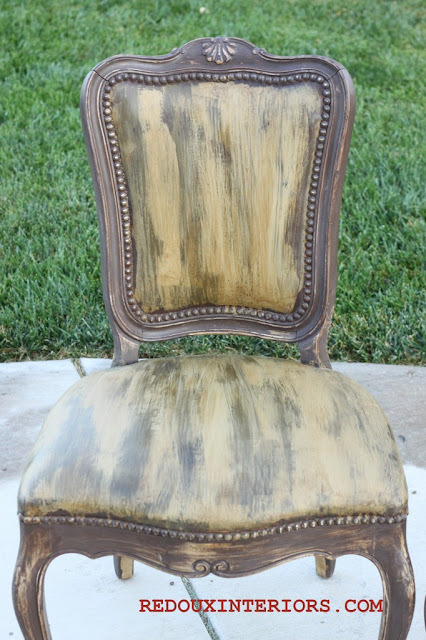 Karen from Redoux Interiors blew me away with her CeCe Caldwell chair makeover. I normally am not a fan of painted fabric but this chair has won me over! 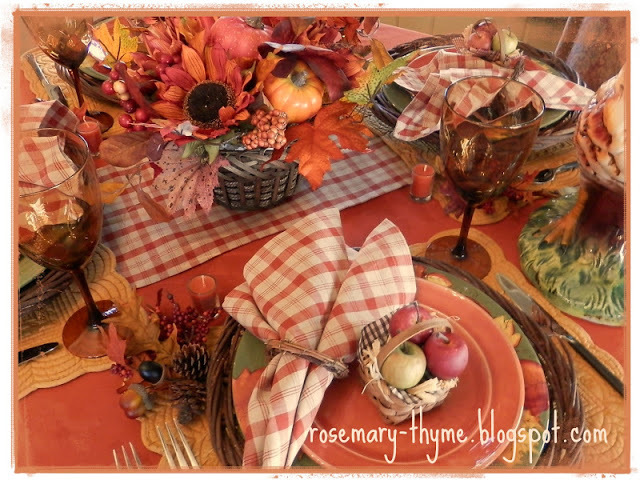 Janet from Rosemary-Thyme shared her beautiful fall tabelscape. I love the basket of apples! just linked up, Pamela. Have a fun Halloween! I love all your features!! 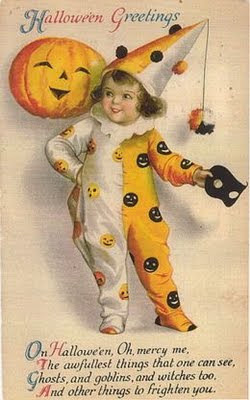 Have a wonderful and happy Halloween!! Thanks Pamela for hosting and HAPPY HALLOWEEN!!!! Thanks for hosting, Pamela! Happy Halloween! Hello Pamela.. Thanks so much for featuring my fall tablescape.. I am truly grateful.. Love the other features too.. I am so glad to be able to link up today.. I just got my power back.. Thanks for hosting such a great party. Hope there is still some candy leftover at your house. Stopped by to link up my chicken wire and burlap frame re-do and stayed awhile linking to a few very creative posts. Thanks so much for hosting Pamela! Have a great evening. I'm like Alice's rabbit : I'm late ! In France we say "mieux vaut tard que jamais" that means it's better late that never ! thank you so much for hosting.